عندما تزور جولد كوست, ستشعر أنك في بيتك في Santana Resort الذي يقدم لك إقامة متميزة و خدمات عظيمة. يمكن من هنا للضيوف الاستمتاع بسهولة الوصول إلى كل ما تقدمه هذه المدينة النابضة بالحياة. كما يمكن الوصول بسهولة إلى كاسكيد, Broadbeach Surf School, Royal Queensland Art Society. إن الخدمات التي يقدمها Santana Resort تضمن للنزلاء إقامة مريحة. هذه بعض الخدمات الموجودة في هذا الفندق: تسجيل وصول/خروج سريع, تخزين الأمتعة, واي فاي في المناطق العامة, صف السيارات, مرافق للشواء. لقد جهزت هذه الإقامة الفندقية بعناية فائقة لتوفر مستوى عالي من الراحة. في بعض الغرف يجد النزيل تلفزيون بشاشة مسطحة, اتصال لاسلكي بالإنترنت, غرف لغير المدخنين, مكيف هواء, تدفئة. صممت خدمات الاستجمام في الفندق والتي تتضمن حوض استحمام ساخن, مسار جولف - ضمن 3 كم, حمام سباحة خارجي, صيد السمك, سبا لمساعدتك على الاسترخاء والراحة. اكتشف مزيجاً ساحراً من الخدمة الاحترافية والخيارات الواسعة من وسائل الراحة والمتعة في Santana Resort. Washing machine great after a long trip. Bit of a trek to Surfers Paradise center. Very basic and if I had know would have paid more. If your not expecting much it’s ok but for £15.00 a night extra I found a lot better place near the beach. According to the information folder, each room is individually owned. That would explain why there are some permanent residents in the hotel. My review therefore won't apply to each room as different owners will have different standards. The lady at Reception was friendly enough. The room smelled musty, the table was dirty and the carpet frayed around every edge. I took off my socks and immediately put them back on and vacuumed the whole unit. I found toenail clippings and pastry under the rug (which itself was all stained and really dirty) and sofa. The whole unit is 'worn'. The chairs all have loose legs. There was stale bread out in the courtyard, a piece of broken glass in the bathroom and dust everywhere. Basically it looks like they rely on each person to clean when they leave (which I did) but don't check anything themselves. I didn't dare use the pool - if they don't clean the units I doubt they maintain chlorine etc. Okay if you just need a bed, but don't take the family. 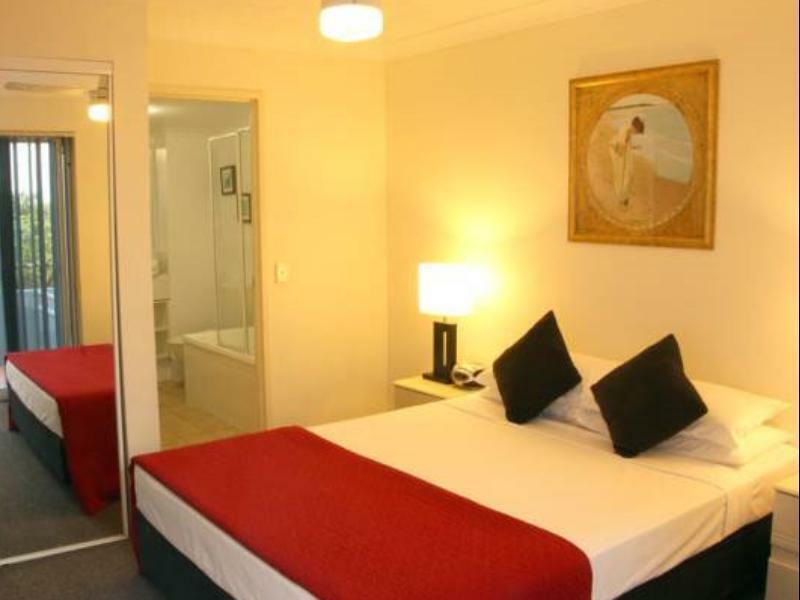 We didn't stay, I didn't like the hotel when we arrived, the aircon didn't work, the room smelt and the bathroom wasn't clean, only like 5 Foxtel channels. I wasn't happy so we changed hotels. The place was perfect ! Location was ver . Near yo surfers and being just outside the tram stop was great. The room was clean spacious and haf everything we needed and more Also receptionist was lovely , very welcoming and gave us all the tips we needed for the area For the price we paid it was a steal Will definitely be back! It surprises me! With how spacious it is, and it has all the facilities you need.. We stayed for 5 days and thoroughly enjoyed our stay. Its just a 2 minutes walk from nearest tram station and 5-7 minutes walk from nearest bus station, with some restaurants and convenient shops available nearby. The receptionist is very helpful too.. We wish the shower temperature can be adjusted easier though.. Location, Kitchen and Laundry in the room. It was average. but I was disappointed that we would have to pay an extra $10 a day for heating. The room was very cold and the windows in the morning were covered in condensation. Also when I booked on line I added another person and was told by AGODA that there was no extra charge because there was the facility in the room for the sxtra person. When I arrived I was told to pay for that extra person. I would have liked to have paid the extra costing before my holiday not made to fork out on arrival. As a solo traveller, I am given a third floor balcony with a big living hall, kitchen, single bedroom and toilet with bath tub. There is a swimming pool too. Awesome! as mentioned, the room is big and fully equipped with all the necessity. 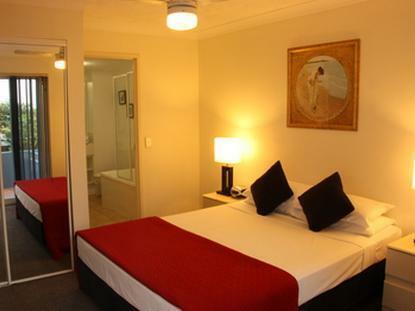 It is value for money as I booked 3 night stayed via agoda for $254. 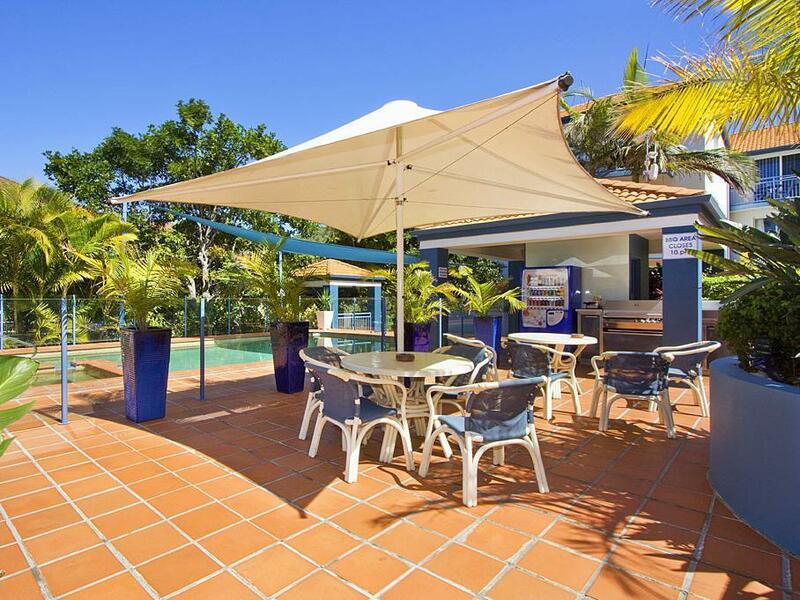 The resort is 5 min walk to the beach but 25min walk to surfer paradise and 20min walk to broadbeach. The public buses are easily accessed to all tourist attractions. Comfortable stay. However, during summer, aircond is much needed. I went to Oz to visit family. As there wasn't much room where they lived I decided to book an apartment nearby. I shared the apartment with a friend and the Santana resort had everything we needed there . The apartment was nice and spacious with a balcony and clean rooms. The staff were really friendly and helpful. We had a problem with our toilet and reported it and the plumber had fixed it within 2 hours. How's that for service! The oven wasn't great but we learnt this on day 1 and just allowed more time to cook our meals! Also, the internet service was a bit slow but overall we couldn't complain as we had a very comfortable stay there. 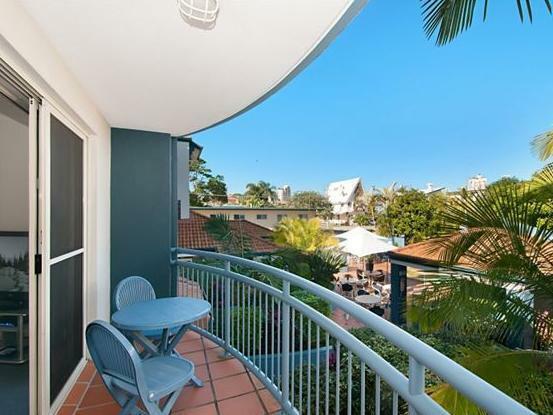 I would definitely recommend it to anyone who wants to be near Broadbeach and Surfers as it's within walking distance to both towns.